By Andrii Degeler , September 19th, 2018. 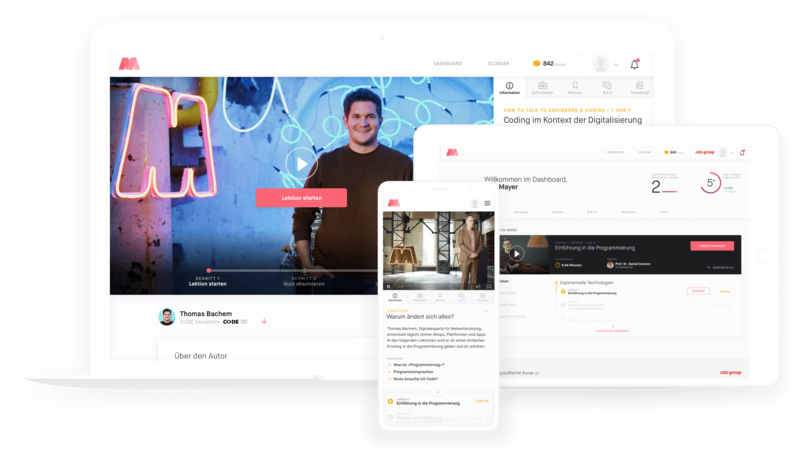 German-founded e-learning startup Masterplan.com has landed €6 million in a Series A financing round led by Tengelmann Ventures, with participation from Dieter von Holtzbrinck Ventures, Ex-Bertelsmann CEO Gunter Thielen, Monkfish Equity, and business angels. Officially launched today, Masterplan is currently available only in German but plans to expand to English-speaking markets in 2019. The platform hosts 126 video courses and “provides employees with the latest standard of knowledge, allowing companies to secure a leading role in the digital environment,” Masterplan said in a press release. The idea of Masterplan is that its lessons would help larger organisations go through digital transformation by inspiring and empowering their employees. The lessons also cover some core competencies like digital marketing or IT security and legal practices. The first customers of Masterplan include Otto Group and Siemens. In total, the startup sold some 2,000 licenses before the official launch.